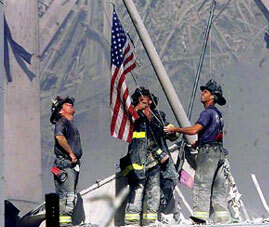 I will never for September 11, 2001. It was one of the saddest days in America. Still to this day I get teary and mad all at the same time. Although living on the West Coast I only seen the devastation on the television I was really saddened that anyone could ever do such a thing. Such a sad day for so many who have lost a loved one or knew someone who lost a loved one. So many children without a parent because someone so evil could do something like this. So many innocent lives lost. I want to thank all of the men and woman who gave their life for our freedom. Those who are still fighting to keep this country free, I thank you for everything you do to protect our country.